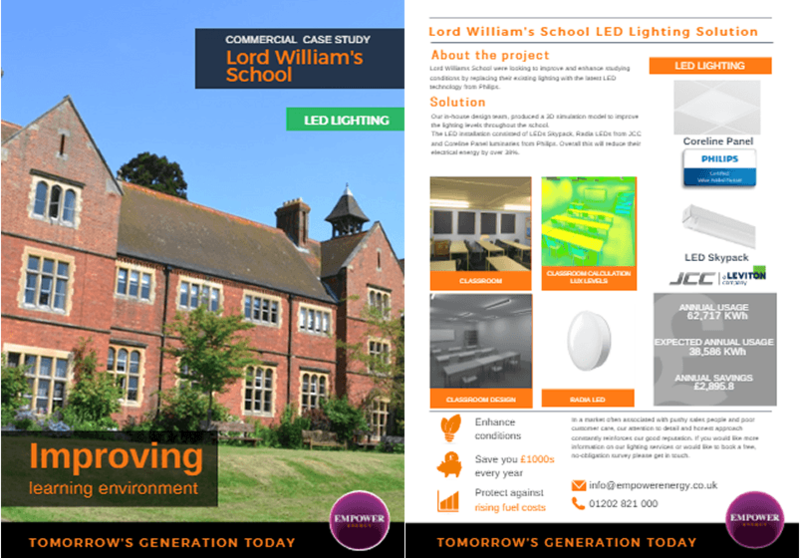 Dorset council are offering grants up to 40% off LED lighting for schools in Dorset. 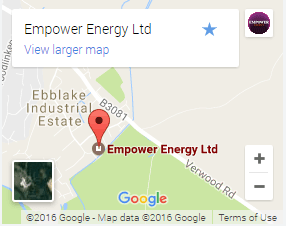 The grant could be used to help install a new lighting system for your school. 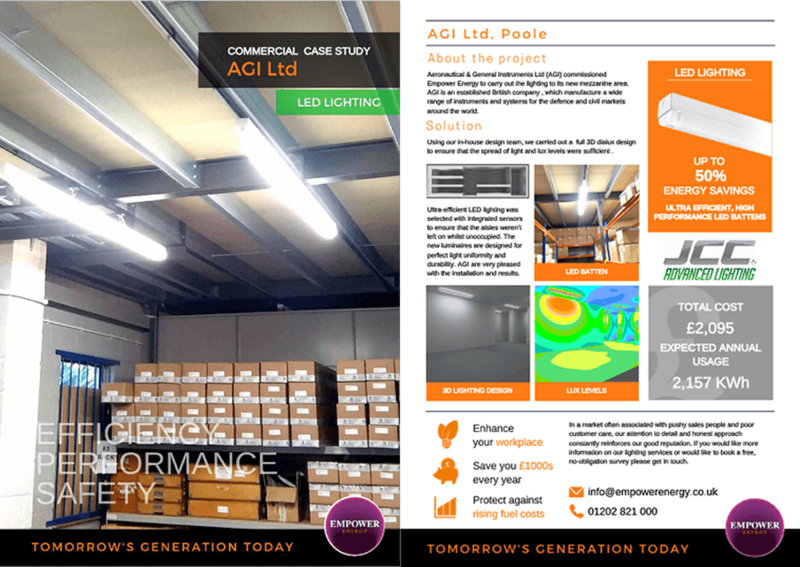 If your school is interested in LED lighting, please fill in our contact form with your contact details and our sales team will contact you shortly to discuss your requirements. 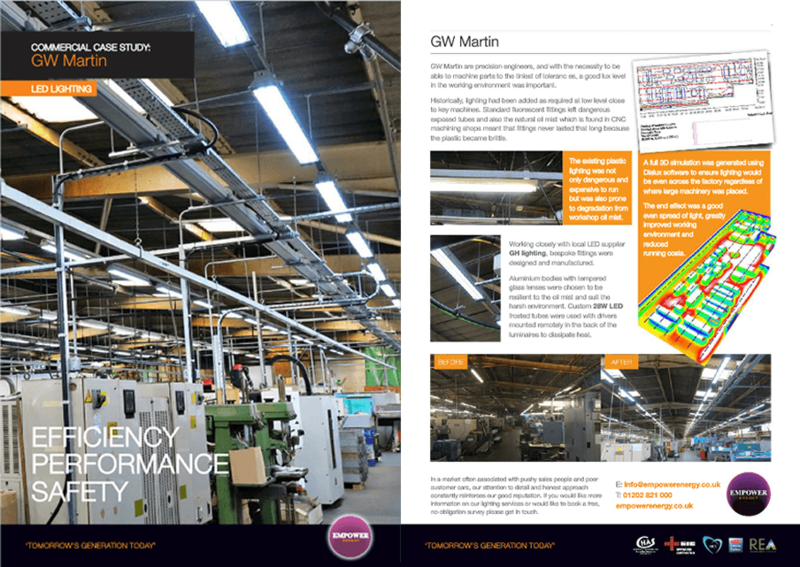 Lord Williams School were looking to improve and enhance studying conditions by replacing their existing lighting with the latest LED technology from Philips. 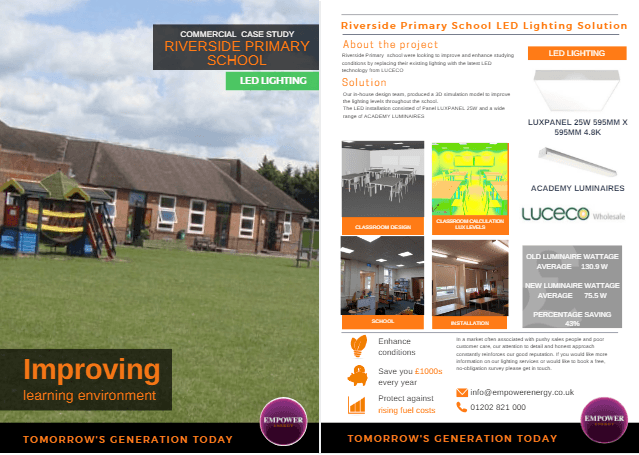 Riverside were looking to improve and enhance studying conditions by replacing their existing lighting with the latest LED technology. 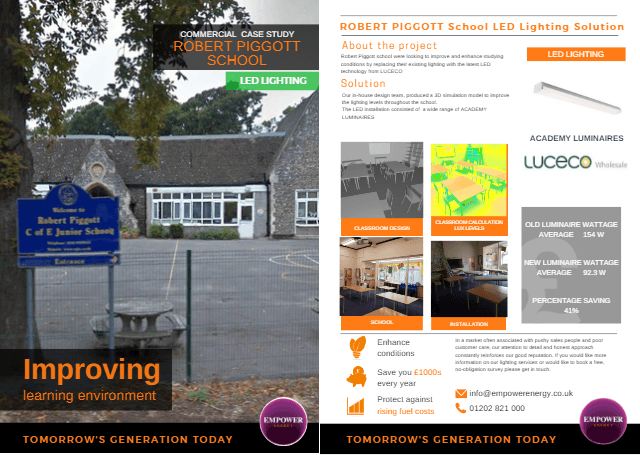 Robert Piggott School were looking to improve and enhance studying conditions by replacing their existing lighting with the latest LED technology from Philips.